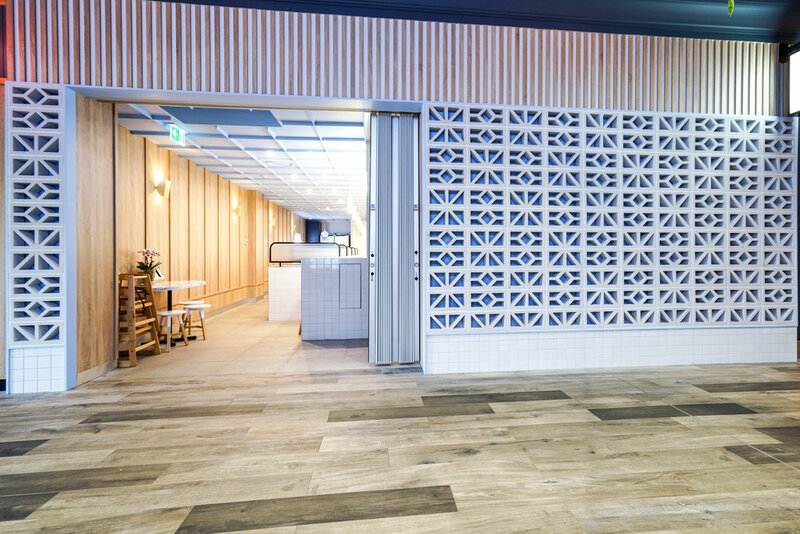 Featuring custom wall graphics, bespoke joinery, booth-style seating nooks & high end finishes, Ichiban Sushi is a welcome addition to the Fairfield Gardens Shopping Centre. Providing customers with a casual, yet refined space to dine in or takeaway. A modern approach to Japanese dining, the space is flooded in shades of blue with velvet accents, terrazzo bench tops & sprayed out ceilings. Further accentuated with powder blue tile grout, reeded glass dividers and delicate pendant lighting.